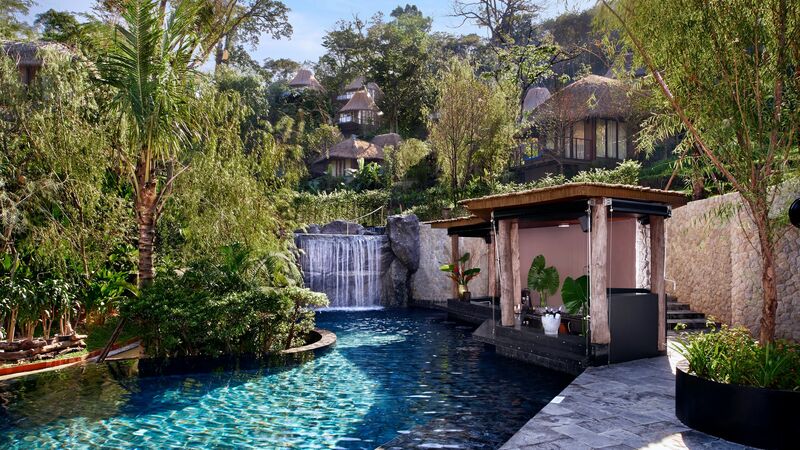 Away from the crowds and set in the rainforest of Kamala sits the beautiful Keemala Hotel, a unique luxury retreat consisting of 38 luxury pool villas and cottages, all of which feature their own private pool. A stay at the Keemala is a true escape from the hustle and bustle of life and embraces age old Thai philosophy through its impeccable service and facilities. 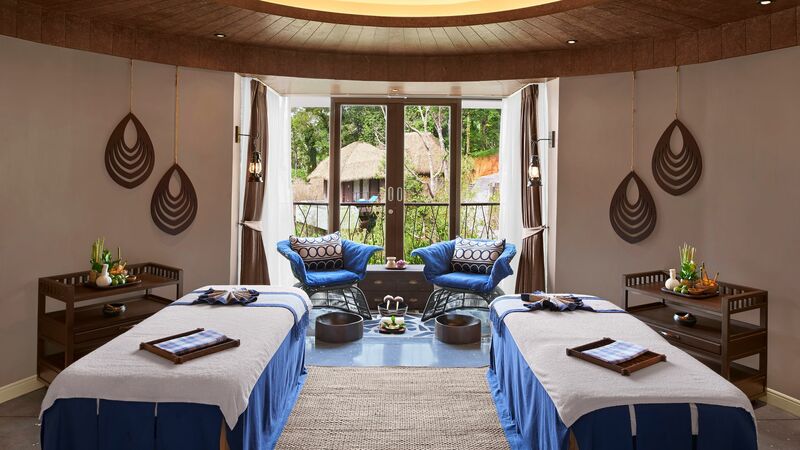 Part of the ‘Small Luxury Hotels of the World’ group, the hotel offers a range of Thai wellness experiences, including holistic programs and spa treatments. 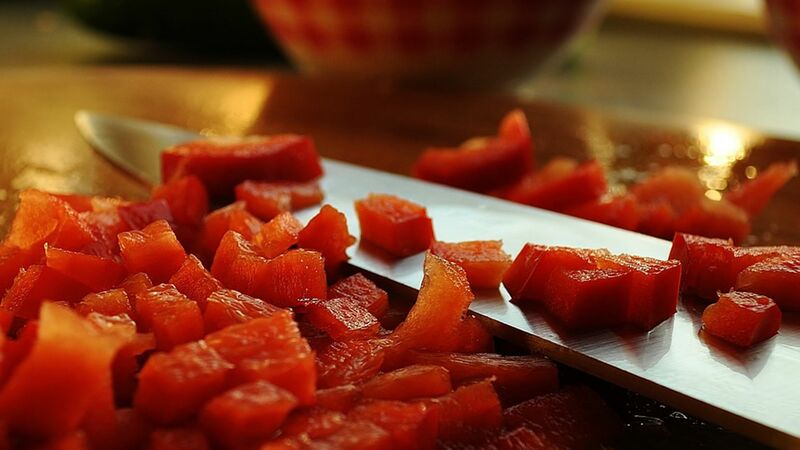 Guests wanting to enjoy an interactive class can prepare and enjoy cuisine with the hotel’s chef. Explorers can make the most of the nearby Kamala and Patong beaches, which are moments away and home to distinct wildlife and untouched coves. Keemala is a serene wonderland, an undeniable and beautiful escape from reality. 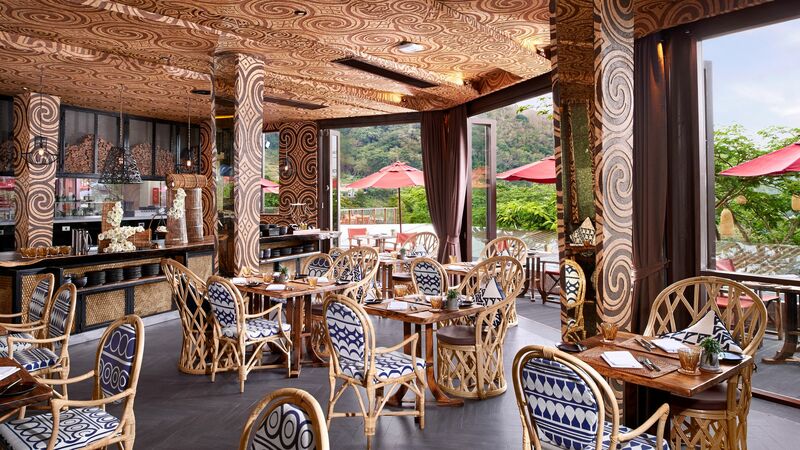 The hotel’s main restaurant, Mala is an outdoor and indoor setting, and serves a variety of Southern Thai dishes in a bright and airy location. 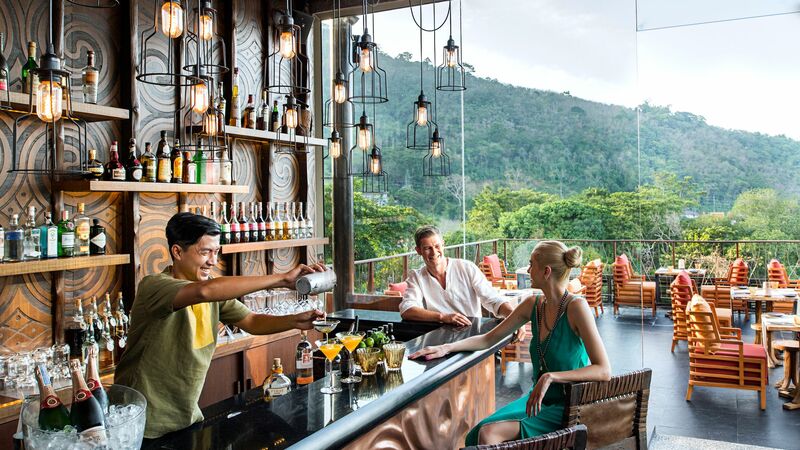 Adjoined the main restaurant and featuring tall glass walls overlooking the green jungles beyond, Mala Bar is a charming spot, serving refreshments, signature cocktails and coffee. Those enjoying a wellness retreat will love the tropical fruit smoothies. Serving refreshing drinks and snacks by the pool throughout the day. The hotel might be tucked away in the greenery but guests are only a 5-minute drive away from Kamala Beach. The hotel offers complimentary transport to and from the beach throughout the day and can also arrange a picnic basket, complete with refreshments and fresh towels. Keemala Hotel’s beautiful private villas and cottages each have their own private pool, surrounded by comfortable furniture and the beautiful natural gardens. Mala Spa embraces traditional healing approaches to the mind and soul and integrates these with modern pampering regimes. Learn to make traditional Thai dishes with a modern twist from the expert hotel chefs before admiring your own handiwork with a meal. Keemala is located on the west coast of Phuket, close to Patong and Surin Beach. Nicknamed the Pearl of the Andaman, Phuket is Thailand’s largest island and is home to wooded hills, plenty of tropical greenery and a halo of white sand beaches. Mai Kho is Phuket's biggest beach, spanning along the coast for 11 km and partly surrounded by undeveloped scenery, filled with pine and palm trees. The second largest beach is Mai Khao, which is quieter but home to lots of restaurants and beach clubs. Also nearby are beautiful beaches Karon and Kata, one of the prettiest spots in Phuket. For something livelier, make your way to Patong, where its main strip, Bangla Road, is a hub for bars, shops and more. Keemala Hotel is 40 minutes from Phuket Airport. One Bedroom Clay Pool Cottages measure from 126m² including the outdoor terrace and feature a pool with views of the resort and rainforest. Cottages have thatched roofs and are designed in distinctive tribal patterns with soft furnishings and feature a king size bed. Tent Pool Villas measure from 140m² including the outdoor space and feature a master bedroom with king size bed, spacious bathroom with monsoon shower and large bathtub. Outside, there is a pool and shaded outdoor living area. Tree Pool Houses measure approximately 169m² are are split across two levels with the master bedroom on the top floor with either a king size or twin beds and outdoor relaxation area. Downstairs, there is a large lounge and dining area, as well as a private pool. Save up to 10% on the hotel price when booking at least 90 days in advance for holidays between 28 December 2018 - 05 January 2019. Decided to stay for the week end on the hill, surrounded by the trees and it was a truly good experience. The staff are all lovely, the design of the resort and the rooms are everywhere a pleasure for the eyes. A clear effort to respect nature has been made. It is a real achievement and despite the high prices, it is worth a short stay. The hotel is for honeymooners. Plan to spend the full day enjoying the view, the pool and the beach. Ideal for stay in and relaxing, pamper yourself and the ones you love. The food is good on the site. My Husband and I stayed at Keemala for our Honeymoon. My Husband has alot of food allergies and we got sent a questionnaire to fill in asking about allergies and dietary requirements before arrival. When we arrived we were met by Aor from front reception who confirmed his allergies and also had one of the chefs speak with him. They outlined what he could eat in the snackbar in the room and made sure he had enough variety. All of the staff knew of his allergies and remembered him and his allergies. He was never served anything he couldn't eat and always felt catered for. Aside from this the hotel was beautiful and the staff the most helpful. We would stay there again. Thank you again to all staff at Keemala! “ Stunning Views. Awful Service. Unfortunately, during my stay at the bird?? ?s nest pool villa, I suffered a severe allergic reaction and went into anaphylactic shock as a result of being given a dish which contained peanut oil at breakfast. We informed the team of my severe nut allergy both prior to arrival and once we had arrived at the hotel. On the second evening, a jar of snacks labelled ?? ?coconut balls??? was placed in our villa. I ate one of these and instantly realised that they contained peanuts. I suffered an asthma attack and swelling to my lips. We were given nothing other than a small apology and the assurance that it would not happen again. The next morning, I ordered a chicken noodle dish for breakfast and once again, reminded the staff of my nut allergy. 25 minutes after eating the dish, I went into anaphylactic shock and was rushed to hospital, where I had to spend two nights. My partner and I were unable to fly home as a result and had to pay thousands of pounds to change our return flight to the UK to two days later. We loved the villa and the resort was beautiful but these incidents certainly ruined our stay and it's safe to say, that we will not be returning! For the price we paid, I was astounded by the terrible service.